Damien follows the adult life of Damien Thorn, the mysterious child from the 1976 motion picture who has grown up seemingly unaware of the satanic forces around him. Haunted by his past, Damien must now come to terms with his true destiny -- that he is the Antichrist. First aired March 7th, 2016. Unforgettable stars Poppy Montgomery as Carrie Wells, an enigmatic former police detective with a rare condition that makes her memory so flawless that every place, every conversation, every moment of joy and every heartbreak is forever embedded in her mind. It's not just that she doesn't forget anything - she can't; except for one thing: the details that would help solve her sister's long-ago murder. Carrie has tried to put her past behind her, but she's unexpectedly reunited with her ex-boyfriend and partner, NYPD Detective Al Burns (Dylan Walsh), when she consults on a homicide case. His squad includes Det. Mike Costello (Michael Gaston), Al's right-hand man; Detective Roe Saunders (Kevin Rankin), the junior member of the team; and Detective Nina Inara (Daya Vaidya), a sassy, street-smart cop. Being back on the job after a break feels surprisingly right for Carrie. Despite her conflicted feelings for Al, she decides to permanently join his unit as a detective solving homicides - most notably, the unsolved murder of her sister. All she needs to do is remember. Ed Redlich, John Bellucci, Sarah Timberman and Carl Beverly are executive producers for Sony Television Studios in association with CBS Television Studios. First aired September 20th, 2011. The Returned is based on the popular and International Emmy-award winning French suspense series adapted by Fabrice Gobert and inspired by the feature film, Les Revenants, directed by Robin Campillo. “The Returned” focuses on a small town that is turned upside down when several local people, who have been long presumed dead suddenly reappear, bringing with them both positive and detrimental consequences. As families are reunited, the lives of those who were left behind are challenged on a physical and emotional level. Interpersonal relationships are examined with intrigue and depth as strange phenomena begin to occur. First aired March 9th, 2015. This show follows Matt Passmore as Jim, a Chicago cop who gets kicked off the force after being shot and wrongfully accused by his ex-captain of having an affair with his wife. After receiving his payout, Jim decides to moves to a small Florida town to join the state police. First aired July 11th, 2010. A&E Network profiles bounty hunter Duane "Dog" Chapman and his crew in beautiful Hawaii. This season is full of fugitives and family. Dog and his pack make some outrageous captures all while trying to maintain a business and personal life. First aired August 31st, 2004. A group of US marshals and ex-cons work together to capture escaped criminals in this A&E drama offering. First aired March 13th, 2011. Ryan Buell is just an ordinary college kid. He attends classes at Penn State University, deals with schedules, school work, parties, girls, and so forth. However, he is also a member of one of the first university sanctioned paranormal research groups in the country, The Paranormal Research Society (PRS). Each week, outside parties ranging from The Catholic Church to ordinary families, contact the PRS to request help in dealing with a terrifying real life mystery often involving poltergeists, hauntings and the darkest areas of the unknown. First aired December 10th, 2007. Criss Angel is on a quest to bring magic into our lives through extreme entertainment that he calls "mindfreak". He believes today's magicians are for the most part archaic and out of touch with society. He plans to change that with amazing feats, including being set ablaze for 46 seconds with very little protection and levitating people right on the street to death-defying escapes and even more slight-of-hand acts. First aired July 20th, 2005. William Banks has hit rock bottom due to his addictions during the birth of his twins, and turns to God and asks to strike a bargain with the almighty. If given a second chance, William vows to kick his own drug habits and help others get clean by any means necessary in The Cleaner. First aired July 15th, 2008. Corey Haim & Corey Feldman give deep, personal access to their storied friendship like never before which lends the show rare honesty and candor. Throughout the series, Feldman and Haim try a variety of tasks to resuscitate their relationship. Like a couple that has grown apart, they will need to go back to their roots to rediscover the bond that once made them closer than brothers, learn to trust one another again, and ultimately find common ground in the present. Along the way, both Coreys will deal with very real issues (including their reunion on The Lost Boys 2: The Tribe), go to therapy sessions together, reveal their demons and confront their storied pasts. First aired July 29th, 2007. Actor Steven Seagal dons his deputy hat in this reality series set in New Orleans. For almost twenty years, Seagal has worked off and on as a deputy for the Jefferson Parish County Sheriff's Office. A&E is there to catch all the action in this series slated for a 2009 release. The show chronicles US Marshals and local law enforcement as they hunt down some of America's worst fugitives. The show primary focus on the New York/New Jersey Regional Fugitive Task Force (NY/NJ RFTF) based out of New York City. First aired May 26th, 2011. 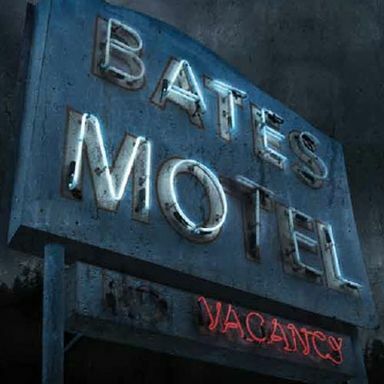 "Bates Motel," inspired by Hitchcock's genre-defining film, "Psycho," is a contemporary exploration of the formative years of Norman Bates, relationship with his mother, Norma, and the world they inhabit. 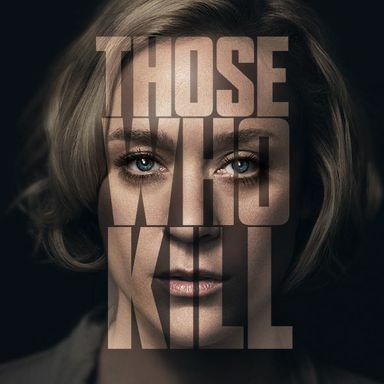 Viewers will have access to the dark, twisted backstory and learn first-hand how Norma helped forge the most famous serial killer of them all. In “Bates Motel,” following the tragic death of her husband, Norma Bates buys a motel on the outskirts of the idyllic coastal town of White Pine Bay, seeking a fresh start. As Norma and Norman get ensconced in their new home, they discover this town isn't quite what it seems, and the locals aren’t so quick to let them in on their secrets. But the Bates’ are done being pushed around and will do whatever it takes to survive – and will do whatever it takes to protect their own secrets. First aired March 18th, 2013. First aired August 7th, 2006. A&E Network introduces the Robertsons, a Louisiana bayou family living the American dream as they operate a thriving business while staying true to their family values and lifestyle. First aired March 21st, 2012. 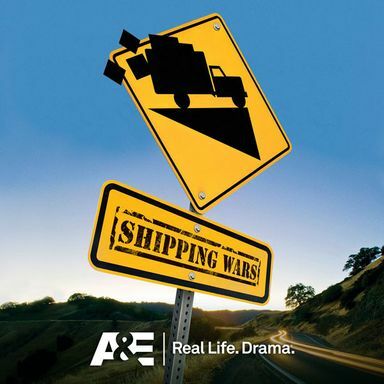 Shipping Wars is the A&E reality series which follows the extremely competitive world of independent truckers. Their competition begins at the online auction house for these payloads, where the movers try to win jobs big, small and everything in between. Join in as they try to take on the most jobs they can, balancing the difficulty with the right price in this dog-eat-dog world. First aired January 10th, 2012. Join Billy Bretherton and his family as they take care of the most interesting and unusual pest problems in Louisiana. From spiders to cougars, Vexcon pest control has seen it all. First aired February 4th, 2009. 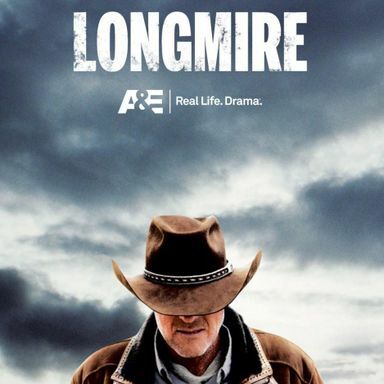 Longmire is named after its central character, Walt Longmire (Taylor), the charismatic, dedicated and unflappable sheriff of Absaroka County, Wyo. Widowed only a year, he is a man in psychic repair but buries his pain behind his brave face, unassuming grin and dry wit. Sackhoff, repped by Gersh and Bleu, will play one of Walt's deputies, hired six months ago after working homicide in Philadelphia for five years. Her relationship with Walt is filled with a playful give-and-take, while a deeper connection and sexual tension simmers beneath. Sackhoff, who co-starred on the final season of 24, recently did an arc on CSI. Phillips, repped by Global Artists and Thruline, will play Walt's best friend. Chase, repped by Gersh and Untitled, will play another deputy of Walt's. Freeman, repped by Kohner and Robyn Bluestone, will play Walt's daughter. Hunt Baldwin and John Coveny wrote the project and are executive producing with Greer Shephard and Mike Robin for Warner Horizon. First aired June 3rd, 2012.